Dream Home Nestled in the Trees!! Stunning traditional home in highly established Northampton subdivision. This home boasts grandeur in every room, from endless built-ins to diamond grid windows and more, this home has tons of personality! Upon entering you will find large formals on either side and an impressive wood paneled living room with floor to ceiling windows. The kitchen holds new appliances and plenty of storage. With 5 bedrooms and a second living room upstairs this home has plenty of room for a large family. This unique property has the garage located in the back of the home secured by a large wrought iron automatic gate for easy access and tons of parking! The large backyard comes with it's own shed for extra storage and covered back patio. Recently cleaned and ready for immediate move-in, this home even has lawn maintenance included! 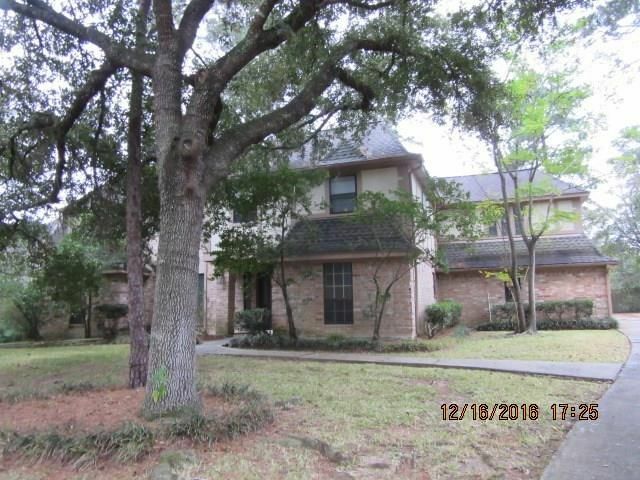 Perfectly situated a mere mile from the Grand Parkway and within walking distance to both the elementary and high school in highly desired Klein ISD.